It’s been a year since Liah met her true story and knew she was a mermaid princess, she met her kingdom in the depths of the sea, made new friends and faced the evil of Eris, the mermaid who longs to steal the kingdom of Oceana. Liah decided to make her usual life as before, but now she can go to the kingdom under the ocean whenever she wants.In this new adventure, Liah has become in the favorite in a major surfing competition and one of her rivals Kylie Morgan, feels envy for Liah. This hatred is used by Alistar a fish sent by Eris who wishes to end with Liah and her mother. 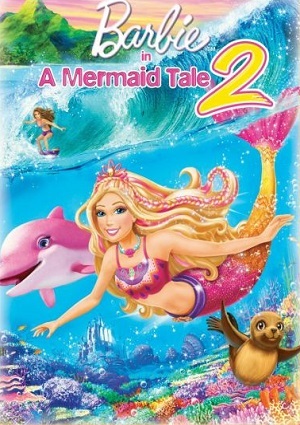 Alistar convince Kylie to steal a necklace from Liah, the fish tell her that with the necklace she can dive into the depths of the ocean, assuring her that she’ll be able to win the competition by becoming a mermaid too. But all this is a plan that has been prepared, because Eris wishes to escape and to steal the throne. Liah realizes about the theft and the intentions of her evil aunt so she must embark on a new challenge just to protect those she loves.